Rent a lovely apartment in the center of Tbilisi. 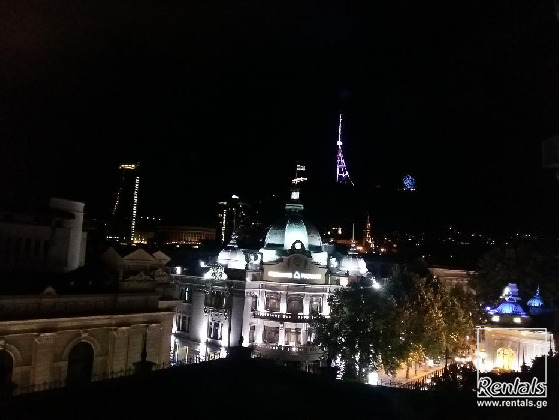 Apartment is located in the historic center of Tbilsi, a few meters from famous Marjanishvili theater, Rustaveli Avenue, the Town Hall and freedom squire, within a walking distance from Parliament building and state chancellery. The metro and bus are unbeatable. The area offers many attractions, from good restaurants or bars to a vibrant shopping area of Agmashenebeli street. Apartment has one of the most beautiful views on old city.